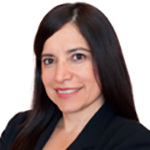 VPE Tradigital Communications has promoted Maricela Cueva to president of the agency. Cueva, who has been with VPE since 2000, was previously vice president. She is a former president and current board member of the Hispanic Public Relations Association, Los Angeles chapter. Cueva will now lead the Latina-owned full-service agency, overseeing all business operations, including client services, marketing, and new business development. Agency owner and former president Patricia Pérez will continue as chief strategic advisor and CEO. 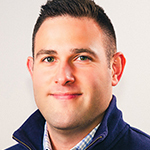 The S3 Agency has hired John Ciccio as president. Ciccio was most recently president of the healthcare professional social network Skipta. He previously served as vice president, commercial at Adheris Health. In his new post, he will be responsible for spearheading all agency operations, increasing its footprint and working to preserve the agency’s culture. He will report directly to CEO Denise Blasevick, who co-founded the agency with CCO Adam Schnitzler in 2001. 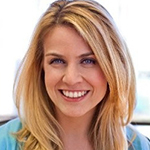 TechStyle Fashion Group has named Arielle Schechtman senior director, corporate communications. Schechtman comes to TechStyle from PuppySpot.com, where she was senior director, communications. She has also led communications for such e-commerce, tech and consumer product brands as JDate and, ChristianMingle, as well as holding various agency roles at Porter Novelli and CarryOn Communication. In her new post Schechtman is responsible for shaping and executing strategic communications plans internally and externally and driving TechStyle’s story across multiple channels and platforms. TechStyle is the parent company of global fashion brands JustFab, Shoedazzle, FabKids, Fabletics and Savage X Fenty. Firehouse Strategies has made four additions to the agency’s executive team. Dorinda Moss Verhoff, who served as a senior advisor to Marco Rubio’s presidential campaign, has been hired as SVP for Marketing and Business Development. Leslie Shedd, who was previously vice president of communications for the National Restaurant Association, is a senior vice president. 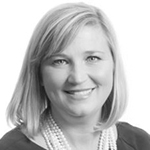 Jennifer Krantz, who was communications director for Congressman Joe Wilson (R-SC) and press secretary for Congressman Thomas Massie (R-KY) comes on as a project director. Former Vanguard Field Strategies national political director Kate Kuenzle is joining the firm as strategic planning director.